There are vast amounts of health and safety legislation’s your facility must adhere to. Attempting to understand the intricate details of every law, for each aspect of your facility, and in turn ensuring your company is compliant within them, can be a daunting but necessary task. 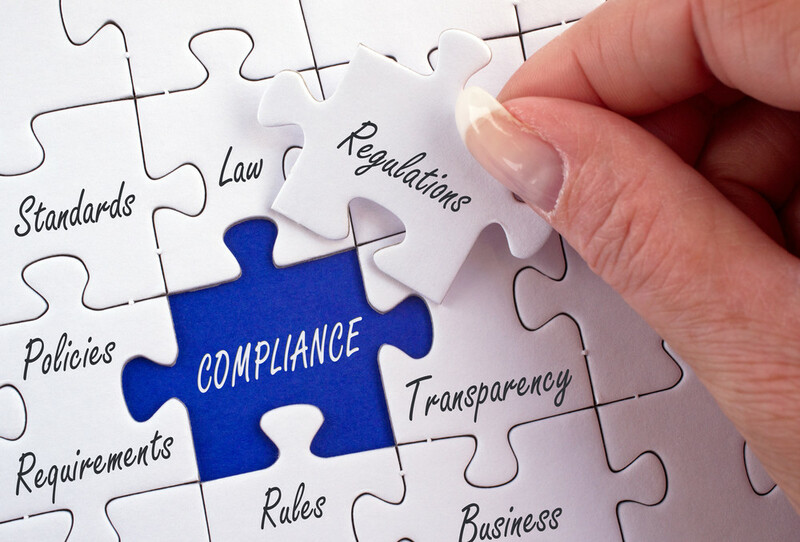 Regulatory compliance is a business’s adherence to laws and regulations, it includes things such as fire risk assessments and gas safety inspections. Failure to comply with health and safety legislation endangers your employees and clients, it can also result in large fines and court proceedings. When you move business premises it is important that you check that both the building you are moving from and the one you are moving to are compliant. Just as you would hope your new premises will be compliant you want to leave your old premises the same. Before you can open your business after moving premises you need to inspect the property and do a full risk assessment. You must inspect the premises for any potential hazards and put things in place to ensure your employees aren’t at risk. We’ve discussed just some of the regulations which you should check your business is in compliance with. The responsibility of fire safety is placed onto the business employer, manager or owner. You must ensure all equipment, for example fire extinguishers and alarm systems, used for fire safety should comply with The Fire Safety Order. When you move business premises it is of the utmost importance that you are compliant with fire safety regulations. Under COSHH Regulations there is a duty to control the risk of legionella bacteria in water systems. The process of identifying the risks and then managing and controlling them must be achieved in line with the Approved Code of Practice Management of Legionella bacteria in water systems. The Electricity at Work Regulations (1989) requires that all systems be maintained in such a way to prevent danger. Periodic inspections are an effective method of proving compliance. You are also required to inspect and test any apparatus that may be connected to an electrical supply. The Gas Safety (Installation and Use) Regulations 1998 state that it is the duty of the users of gas systems to ensure that they are safe and suitable for use. This includes responsibility for the annual servicing, inspection and certification of all in service gas boilers or any other gas burning equipment. These checks must be carried out by a registered gas safety engineer. At MSL we offer comprehensive compliance maintenance solutions across all elements of your facility, including; electrical, fire, gas, water, asbestos and air conditioning maintenance. Using our extensive experience and knowledge we’ll reduce the time and costs required to maintain up-to-date compliance records and save you having to worry about it. Our maintenance management system also means you have a complete 360 view of all compliance maintenance task that are being completed.